The staff was incredible. Honestly, it was the perfect setup. Beautiful. Full of wonderful food. Heard great comments about the coffee. The staff asked a few times if everything was okay. Just a great experience!!!!!!! Thank you! Collinsville is well known throughout the St. Louis Metropolitan region for its location; convenient interstate access; proximity to Downtown St. Louis; historic Uptown complete with local shops, dining, and entertainment; annual Main Street festivals and events; regional shopping; local parks; bike trails with connections and routes extending throughout Madison County; and the Cahokia Mounds State Historic Site. Collinsville is located at the center of the region’s transportation hub providing direct highway access which connects Collinsville to a number of cities, small towns, shopping, recreation, entertainment destinations, vineyards, and nature areas throughout the St. Louis Metropolitan area and across Illinois and Missouri. 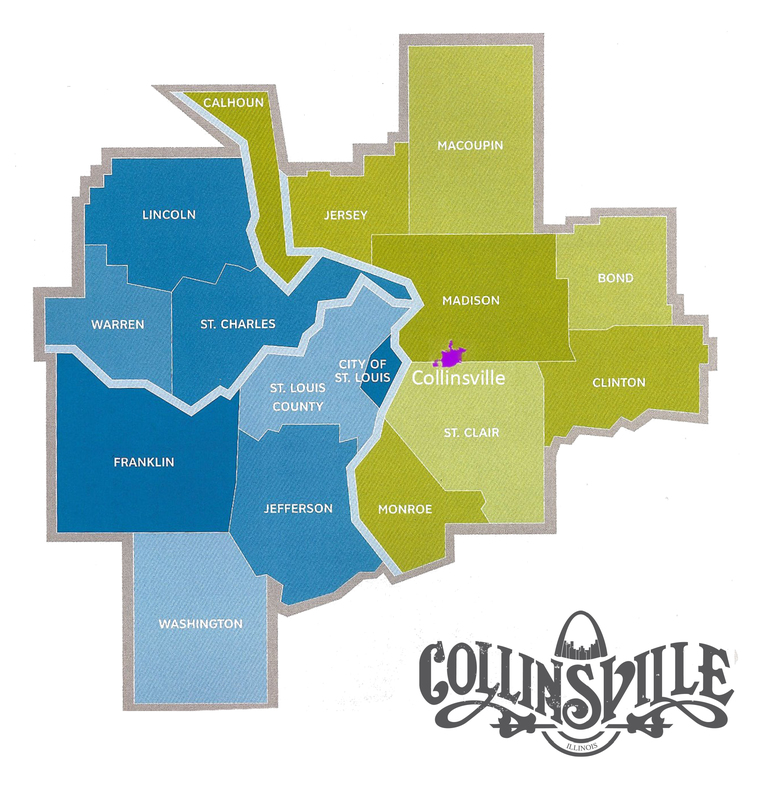 Collinsville is located just 15 miles from Downtown St. Louis and all of the amenities of a big city. Collinsville is a city with a well-developed sense of community pride in its rich history, and a forward thinking vision for its future. City government is proactive in business recruitment, infrastructure development, and providing superior services to the community. The City also boasts an active Economic Development Commission and Chamber of Commerce. Collinsville is a city filled with servant leaders who are members of local boards, commissions, and other community-led organizations working year-round to educate, preserve and celebrate the Collinsville’s rich history. Together we are planning for our future by developing and implementing a vision to make Collinsville a culturally rich, vibrant, and quality community for all to live, work, play, and do business. Collinsville’s outstanding advantages as a growing, affordable, culturally rich residential area for the St. Louis metropolitan population, as well as its position as a regional retail, service, and hospitality destination, are major growth factors. Collinsville embraces its position within the regional economy and utilizes many tools to attract private investment, tourists, and visitors, while serving residents, helping businesses succeed, leveraging local assets and protecting public investment for the greatest benefit of the community.